Inspired by Slavic mythology and legends of the Baltic peoples, the story about how in the face of extermination the world can be saved only with empathy, love and good old classic Johnny Cash. 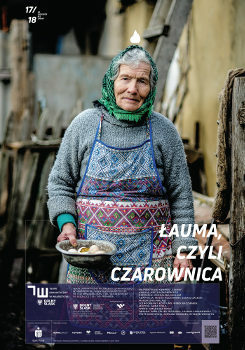 Dorothy and her father move from Warsaw to Łojmy, in the very heart of the Suwalki Landscape Park. She brings with herself the loneliness of a modern child… Leaving behind the comforts of the capital city, the fast and loud rhythm of life, she begins to explore the family history – and discovers a world full of witches, laums, gods and ghosts. The girl must become a witch, a woman who will stop the oncoming destruction. A clever and modern family fairy tale.